1. Remove the bolts on the head of the seat post. 2. Position the saddle on the seat post head. 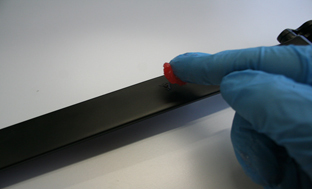 If the saddle rails are not made of carbon, apply a thin film of grease to the clamped area. Always remain within the marked clamping zones indicated on the saddle rails. 3. Mount the saddle with both outer clamps and bolts (M5x50mm). Both outer clamps must point in the same direction and be congruent. The flat sides of the springs must always be parallel to each other. 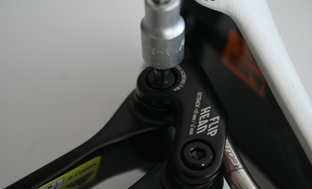 In addition, you can fit the seat clamp at an angle of 180°, thereby increasing the range of adjustment. In this case you fit all the 4 parts of the seat clamp on the other side. 4. Tighten the bolts to 5Nm. Picture 1 If you can’t tighten the bolts because the saddle rails are oval, do not use force. In such cases please contact our Service Center. 3. Tighten the screw which connects the two flat springs loosely by hand. DANGER! This is only for adjusting the seat post! 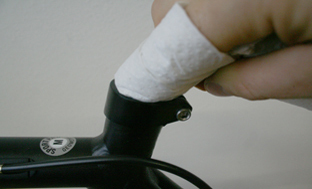 Do never ride or sit on the bicycle while any screws are not tightened with the correct torque! 4. 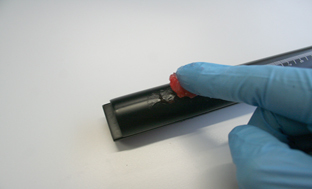 Clean the inside of the seat tube. Picture 4 The seat tube must be free from grease and dirt when the seat post is fitted. 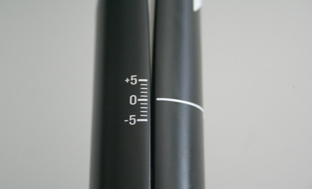 Also check that the seat tube is free of grooves and sharp edges. 6. Push the post into the seat tube. Now you can move the flat springs against each other.Picture 6 When you have found the correct saddle position, pull out the seat post. 7. Tighten the adjusting screw which connects the two flat springs with 7NM. 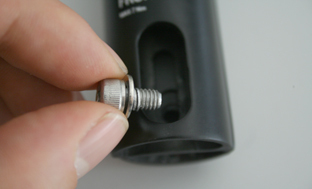 Make sure to place the washer underneath the head of the screw! 1. Insert the seat post into the top tube. 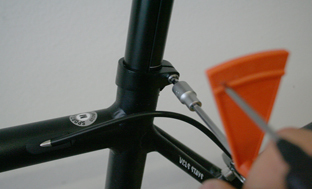 Ensure that you adhere to the maximum and minimum insertion length for the seat post. 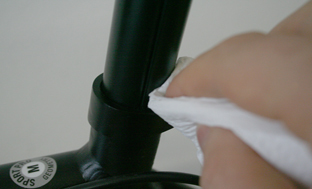 The seat post must be inserted at least as far into the seat tube so that the bottom edge of the seat post is positioned below the bottom of the top tube. Always remain within the adjustment range indicated on the seat post. Pay particular attention to the minimum and maximum insertion limits. 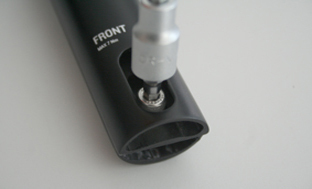 The bottom edge of the seat post must be inserted at least as far down as the bottom edge of the top tube. In this category you’ll find workshops that are certain to be of interest to the passionate manic mechanic. You’ll need to have a certain level of technical skill and have already some experience in carrying out maintenance work on sports cycles. For jobs in this category you may need special tools, which are not normally available in standard tool boxes. Never apply grease to carbon parts. Always mind the correct torque values.